A three Judge Bench of Supreme Court on Monday issued notice to Central Board of Secondary Education (CBSE) on a plea seeking contempt action against it for allegedly violating the court's order in the case of CBSE & Anr. v. Aditya Bandhopadhyay & Ors. A bench of Justices Ranjan Gogoi, Navin Sinha and K M Joseph was hearing a contempt petition challenging the exorbitant fees of Rs. 1200 per subject being charged by CBSE for providing evaluated answer sheets to students. In their petition, co-founders of the Whistle for Public Interest (WHIP) Mr. Kumar Shanu and Mr. Paras Jain allege this as being violative of the Apex Court judgment passed in the case of CBSE & Anr. v. Aditya Bandhopadhyay & Ors. The Supreme Court had, in Aditya Bandhopadhyay's case, ruled that an answer-sheet would fall under the ambit of ‘information’ under Section 2(f) of the Right to Information Act, 2015, ruling that students have a fundamental and legal right to access their evaluated answer-sheets under the Act. The Apex Court had then observed, "When a candidate participates in an examination and writes his answers in an answer book and submits it to the examining body for evaluation and declaration of the result, the answer book is a document or record. When the answer book is evaluated by an examiner appointed by the examining body, the evaluated answer book becomes a record containing the `opinion' of the examiner. Therefore the evaluated answer book is also an 'information' under the RTI Act." They now point out that despite the direction, CBSE has issued a notification last week, prescribing a fee of Rs. 1000 for Class X students and Rs. 1200 for Class XII students for obtaining their evaluated answer sheet copies. This was despite the fact that the Right to Information (Regulation of Fee and Cost) Rules, 2005 prescribe a 10-rupee application fee, along with Rs. 2 for each page of information sought. Notably, the duo had earlier approached the Supreme Court in 2016 as well, with similar allegations. 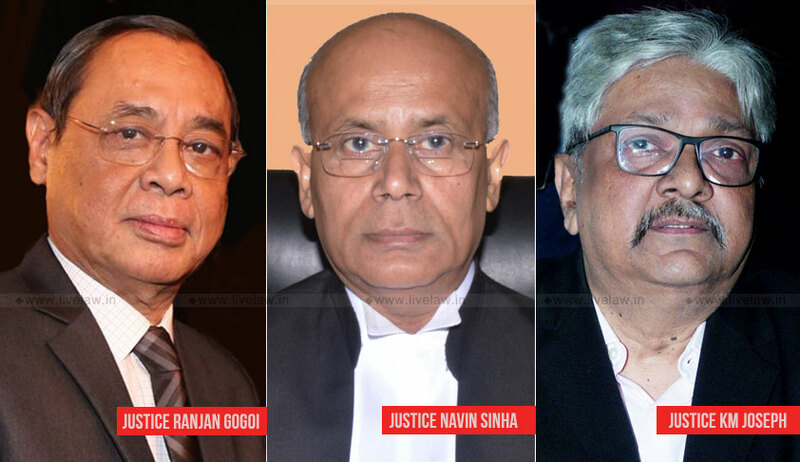 An Apex Court Bench comprising Justice Ranjan Gogoi and Justice P.C. Pant had then directed CBSE to "scrupulously observe" its directions in the 2011 judgment. They, therefore, demand initiation of contempt proceedings against CBSE, asserting, "...the Alleged Contemnor even being the state-run education board and having the responsibility of educating a large section of the society, is blatantly violating law of the land laid down by this Hon’ble Court. This willful disobedience is not only resulting into infringement of the fundamental and legal rights of students every year but also the Contempt of this Hon’ble Court."